It seems there is certainly evidence for this. Our intestinal beneficial bacteria are the seat of our immune systems, and they also help keep insulin and blood sugar at healthy levels. Artificial sweeteners like aspartame, acusulphame K and sucralose kill off good bacteria. These sweeteners are everywhere, and this is one of the MAIN reasons we eat real food, and we do not buy things pre-packed or processed. 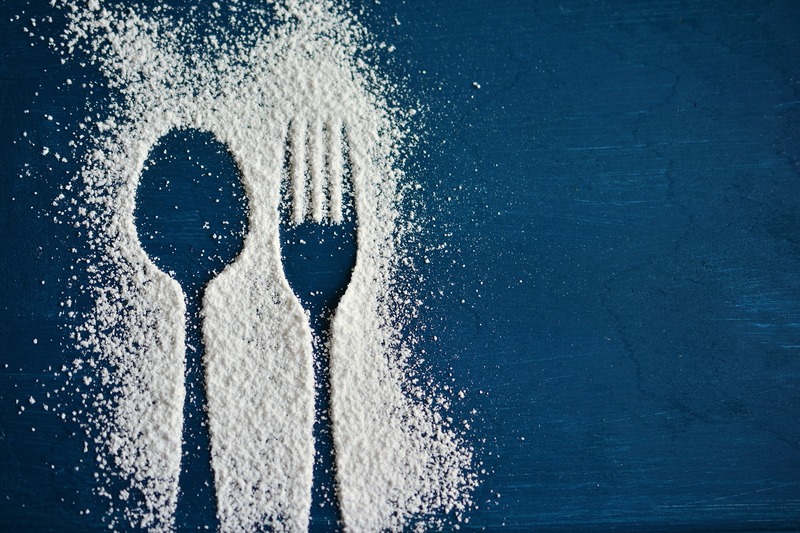 The Journal of Nature shows that all artificial sweeteners induce glucose intolerance and insulin resistance which in turn may lead to type 2 diabetes. Stop and think about this for a second. That ‘innocent’ sweetener you add to your coffee – is it one of the chemical man-made sweeteners? If it is maybe it’s time to stop it. These things have the power to completely change the flora in your gut – this is serious. The whole community of organisms is affected, and you will end up the worse off with a weakened immune system and other damage they are just busy discovering – not least of which could be diabetes and/or Alzheimer’s Disease. These sweeteners are not harmless, they have far-reaching side effects from panic disorder to diabetes to brain tumours – and even (can you believe this one) weight gain. But hang on, isn’t this why you are taking them – to avoid weight gain? It amuses me to see the most overweight people piling in the artificial sweeteners in coffee shops, although I do feel sad when I see it. There are over 90 different symptoms attributed to the ingestion of aspartame alone, one of which is weight gain. Any chemical concoction in a lab will have side effects, and one is as bad as another – so don’t fall for the hype. What gets to me most is that diabetics are encouraged to further destroy their already fragile health by using these as a sugar substitute. Sucralose is another popular sweetener with a sting in its tail. In 2012 Dr James Bowen, a biochemist and physician from Johns-Hopkins pointed out that the chlorinated chemical in sucralose is “nature’s Doberman attack dog – a highly excitable, ferocious atomic element employed as a biocide in bleach, disinfectants, insecticide, WW1 poison gas and hydrochloric acid” – DDT is in the same family as this chlorocarbon – why on earth would we want to eat anything like this? Sucralose in humans appears to attack the nervous system producing cancer, birth defects and immune system destruction, and in animals swollen livers, calcified kidneys and shrunken thymus glands – and it reduces gut flora by 50%. This is not food, and should not be put into the body. It’s FrankenFood.